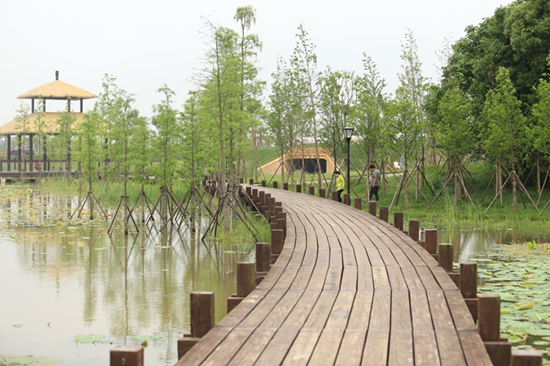 Longlingshan Ecological Park is located at the junction of Tongshunhe Avenue and Junshan First Avenue, with Zhushan Lake to the north and Tongshun River to the south. Its total construction area is planned to be 2.9 hectares. Its major scenic spots already include ten miles of attractive landslide, a boundless expanse of lotus ponds and hectares of tea plantations. 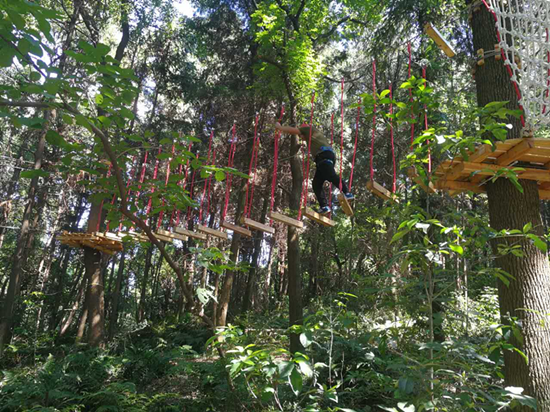 Some convenient and recreational services are available in the park such as sightseeing buses, a bicycle rental service, forest exploration activities and convenience stores. Starting from Wuchang Railway Station, take Metro Line 4 and get off at Wulidun station; walk 200 meters to Caojiawan bus station on Jiangcheng Avenue and get on a No 273 bus (bound for Weihu Road bus parking lot). Get off at Niaoyulin station on Maple Third Road, then turn right and walk 15 minutes to arrive at the park.